Some horror film directors want realistic performances from their actors. Not every film requires realism. Children Should Play with Dead Things and Blood Feast benefit from their actors' hammy performances. (This not true even of many horror "comedies" -- many "so bad it's good" films are actually "so bad it's unwatchable".) Hal Hartley often requires deadpan performances from his actors. But say a director wants realism. How to coax a realistic performance from an actor? Jonathan Emrys, an extra on Bram Stoker's Dracula, relates how director Francis Ford Coppola sought a realistic reaction from Winona Ryder (a look of stunned shock), and how Gary Oldman figured out a way to coax this reaction from Ryder. [W]e all were set up on the streets again, and Mina (Winona Ryder) was supposed to walk down the street to the Apothecary shop and look across the street to see Dracula (Gary Oldman) staring back at her. Directly behind the camera was Coppola, and the ever professional Gary took his place beside the camera, in the mud, to give Winona a point to look at. Winona repeatedly walked down the street, stopped, stared, then continued into the shop. However, she apparently was not giving the shocked or startled look Coppola was looking for, so he kept sending her back up the street to start again, over and over. During one of the longer spaces between takes, Gary starts looking around and spies a vegetable cart beside me. He asks a P.A. "Are those real vegetables?" The P.A. replied that they were and Gary asked "Are those real zucchinis over there?" The P.A. nodded and Gary asked "Can I have one? Could you get me a zucchini?" The P.A. was confused by the question, he didn't know if he should, so he asked an A.D. who, I think asked another A.D., and finally was given the reply "Yeah, sure." They grabbed one of the zucchinis and gave it to Gary who immediately took his place again beside the camera. I'm standing directly behind Gary, so all I can see is him facing the street with the zucchini held firmly behind his back. Winona finally comes into view and waits at the top of the street, and Coppola yells "Action!" and Winona starts down the street. As she approaches her mark, Gary shifts the zucchini to his front, at about groin level. Winona reaches her mark, stops and turns to Dracula and has an utterly surprised, shocked and startled look on her face. She kept it professional and continued into the Apothecary's Shop. The moment Coppola yelled "Cut! ", Winona stormed out of the shop and proceeded to harangue Gary, who took it in his stride, laughing. This seemed to upset her even more, so Coppola finally got out of his seat and took each of them by the arm and walked them back up the street and out of view, all the time Gary was laughing and smiling, and Winona was not. A few moments later, they all came back into view, and Winona was still not real happy, but there was no longer any smile on Gary's face as he dragged his feet, head down, like a punished schoolboy. Yes, that was a funny thing Gary did, and sure Winona probably didn't think so, but at least Gary helped Coppola to get that look he needed from her. You can read more about Emrys's experiences as an extra on Bram Stoker's Dracula at his Blood Thirsty website. I met Emrys on Bram Stoker's Dracula, because I too worked as an extra on that film. 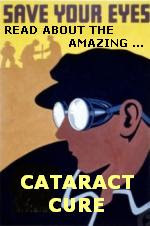 You can read about my experiences on the Hollywood Investigator. 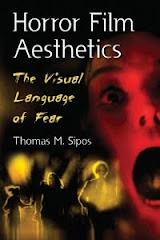 For more about acting styles in horror films, see Horror Film Aesthetics: Creating the Visual Language of Fear. This blog represents a continuing discussion of my views on horror, picking up from where the book left off.